A cup of tea is a moment of serenity in your day and Tea Drops gets you to that moment faster and more simply. 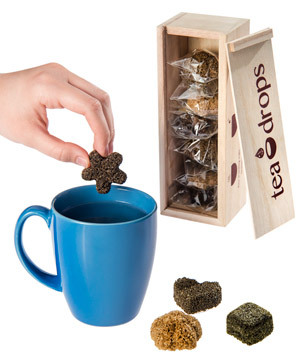 The Tea Drops Variety Pack in Wooden Box contains eight dissolvable tea morsels molded into charming shapes. Simply pour a cup of boiling water, add your Tea Drop, and stir. 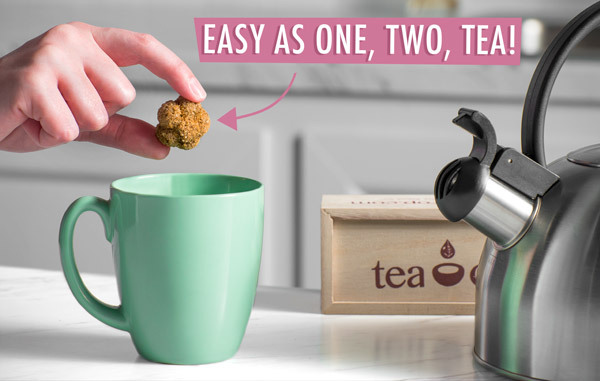 The Tea Drop quickly diffuses into the water, leaving you with a fully-flavored cup of tea. No need to steep. The eight-pack features four fragrant flavors of organic tea nestled inside an attractive wooden box. Since this video was made, Vanilla White Tea has been replaced with Matcha Green Tea. When you slide open a wooden box of Tea Drops, you’re greeted with a blend of succulent scents that speaks to the deliciousness nestled inside. The darling drops are made from genuine, organic tea leaves which are delicately ground and then pressed into simple shapes. The cute designs add levity to your tea time, whether you’re unwinding at the end of a long day, taking a mid-day break to refresh yourself, or enjoying a relaxing start to your morning. Tea Drops make a great gift or a fun way to treat yo’ self! Drop in for a quick cup. Tea Drops are a simple and fun way to enjoy a cup of delicious tea that takes less than a minute to prepare. With no tea bags to steep and no loose tea leaves to measure, the preparation couldn’t be easier. Pour a cup (8 oz) of boiling water into your mug and add your favorite Tea Drop. Mix the tea with a spoon for about 10 seconds, then let the drop dissolve for another 30 seconds to imbue your tea with one of four fragrant flavors. All that’s left to do is sip and savor. 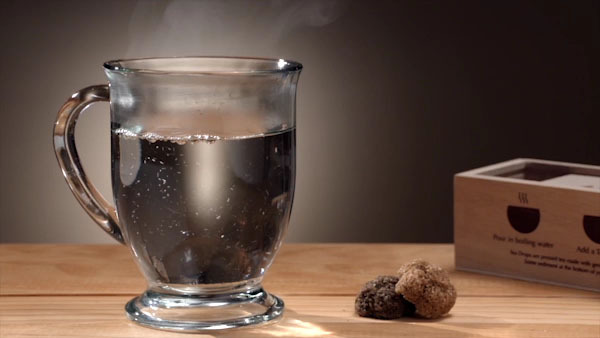 Enjoy a soothing cup of tea in less than a minute. Each Tea Drops pack contains four distinctly delicious flavors of tea leaves: matcha green tea, citrus ginger, sweet peppermint, and rose earl grey. 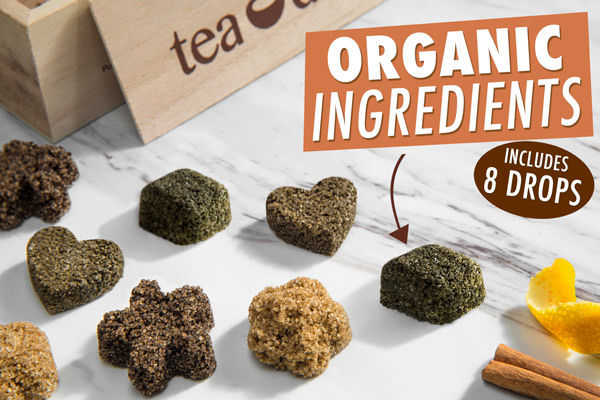 The drops are made of USDA organic certified tea leaves that are full of authentic flavor. Every one of these American-made drops produces a warm, aromatic, and refreshing cup of tea. 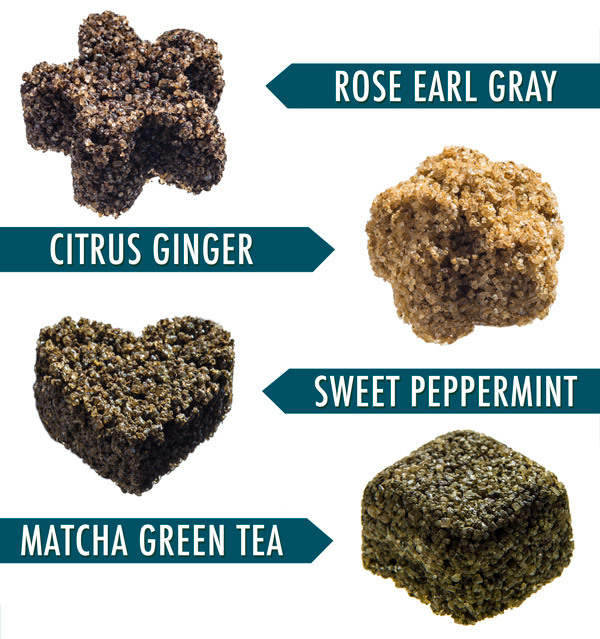 One of these flavors is sure to be your cup of tea. Tea Drops come in a gift-ready format. All eight drops are individually wrapped and tucked snugly inside the gift box crafted from delicate balsa wood. The attention to detail on the packaging lets your gift recipient know that this is a unique, high-quality gift. It’ll suit you to a T.
Question: Do these fully dissolve in water, or will I still be able to taste pieces? Answer: Tea Drops are made of genuine tea leaves so you may see some sediment at the bottom of your mug. This is completely safe to drink. Answer: The rose earl grey and vanilla white tea contain caffeine. The citrus ginger and sweet peppermint are caffeine-free. Question: What are in these drops (besides cuteness)?